Looking for a local, reputable computer consulting company to service your Seal Beach business? Advanced Network Consulting is a leading network consulting company based in La Mirada, and we’ve been servicing Los Angeles and Orange County for nearly 20 years, particularly Seal Beach and surrounding cities. We have experience with small and medium size businesses, in just about every industry, and our primary focus is servicing audiologists, non-profits, escrow offices, general business offices, financial services, law firms, public relations, salons, medical and dental offices, optometrists, and manufacturing industries. Our client testimonials feature various industries serviced. 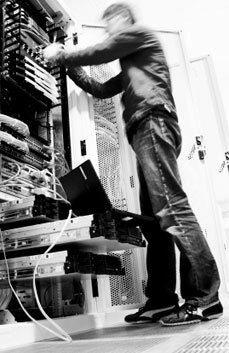 Our network professionals are certified, experienced, friendly, and personable. If your Seal Beach area business is a Non-Profit, we provide completely specialized IT services for non profits and not for profits. We have provided IT support for non-profits since 2000 and we are familiar with federal and state program grants, budget constraints, and all the challenges business face, especially Non Profits. For all business, we offer a complimentary needs analysis meeting to help budget and plan your utmost needs, secure your network, and be your business partner in attaining and maintaining your company’s overall goals. We welcome the opportunity to help your business thrive.